Encontre o seu papel fotográfico Canson Infinity. Em Totenart têm toda a gama de papéis Canson Infinity Arches Velin Museum Rag para a impressão digital. Infinity Velin Museum Rag, 250 gr., A4, caixa 25 uds. Infinity Velin Museum Rag, 315 gr., A4, caixa 25 uds. Infinity Velin Museum Rag, 315 gr., Rolo 0,61x3,05 mts. Infinity Velin Museum Rag, 315 gr., A3, caixa 25 uds. Infinity Velin Museum Rag, 250 gr., A3+, caixa 25 uds. Infinity Velin Museum Rag, 250 gr., A2, caixa 25 uds. Infinity Velin Museum Rag, 315 gr., A2, caixa 25 uds. Infinity Velin Museum Rag, 315 gr., Rolo 0,432x15,24 mts. 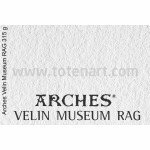 Infinity Velin Museum Rag, 250 gr., Rolo 0,61x15,24 mts. Infinity Velin Museum Rag, 315 gr., Rolo 0,61x15,24 mts. Infinity Velin Museum Rag, 250 gr., Rolo 0,914x15,24 mts. Infinity Velin Museum Rag, 315 gr., Rolo 0,914x15,24 mts. Infinity Velin Museum Rag, 315 gr., 610x914 mm., caixa 25 uds. Infinity Velin Museum Rag, 250 gr., Rolo 1,118x15,24 mts. Infinity Velin Museum Rag, 315 gr., Rolo 1,118x15,24 mts.